It’s official! I am a beginning my journey to National Board For Professional Teaching Standards certification. I have heard this will be incredibly difficult, and that I need to start NOW planning and organizing for the component that I’ll need to turn in by May 18. I am starting by following the instructions of NBCT mentors Bonner Slayton and Claudia Swisher, who strongly encouraged us at our first state-wide meeting of the year today to organize physical and virtual spaces to keep our NBCT materials as we work on them. 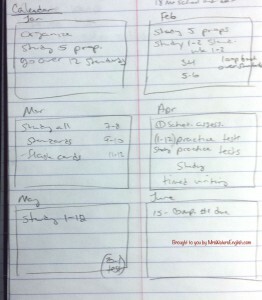 Next, I am going to plan out my process in Google Calendar, starting with the final draft deadline of May 18, and working backwards to today. Please forgive the messy handwriting. This is what years of taking notes during interviews as quickly as possible while not looking at what I’m writing has done to me. Click to enlarge. What this means is I may not write here as frequently (or at least, not as lengthy) as I have been. I may not release any new MWE products until this summer. 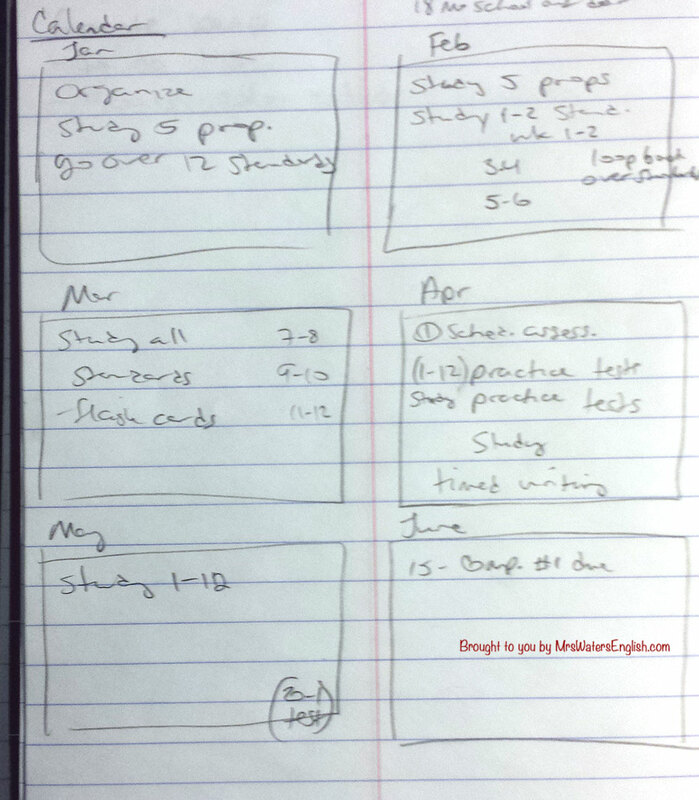 I would like to update you on how the process is going, but I’m not going to make any promises at this early date. Why am I doing this? Because my students deserve a teacher who is willing to take risks, grow, fall down, try again, and grow some more. This is what I’m asking them to do, I should be willing to do the same, not only to be a better teacher for them, but also so that I can gain the credibility I need to help new teachers who are as lost as I was when I started my teaching career almost five years ago. With the support of the state of Oklahoma … I received a scholarship to go through the process of National Certification in 1999. The generosity of the law written by then-Sen. Darryl Roberts gave me the opportunity to hold myself accountable, to really look at my practice, to shine a light on the impact my decisions have on my students’ achievement. I was so proud of the commitment Oklahoma made to its teachers, and so eager to live up to the faith placed in me. I wanted to become the best teacher I could be for my students. 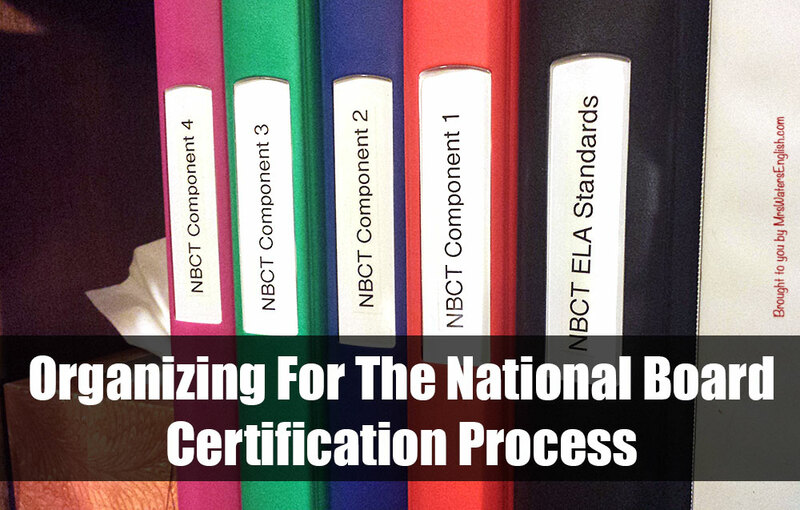 If you’re interested, you can learn more about the process and certification at the National Board for Professional Teaching Standards website. Hi! I started National Board this year for AYA ELA. I’m writing about it over at my blog, too. Good luck!